I can't believe it took until my fourth child for my eyes to be opened to the magic and fun of Olivia! My daughter really loves her Olivia board books and on a recent vacation she picked out an Olivia plush doll at an independent bookstore which I bought for her, of course! As I was making the purchase I knew this had to be the year for us to celebrate Ian Falconer's birthday; for my daughter and for her brothers and sister that had not yet read the Olivia series. I am happy to say that this week, our family was able to cross Olivia by Ian Falconer off Amazon's list of 100 Children's Books Everyone Should Read in their Lifetime with what may become one of the most memorable author birthday celebrations our family has ever had! Ian Falconer is the author and illustrator of the Olivia series. There are seven picture books about Olivia including Olivia Saves the Circus and Olivia...and the Missing Toy. Before creating Olivia, Ian Falconer studied Art History at New York University and then studied painting at Parsons School of Design and the Otis Institute. He designed sets and costumes for the Los Angeles Opera and the New York City Ballet. He also created numerous covers for The New Yorker magazine. Then, he became an uncle! He was inspired to create a book to give to his niece, also named Olivia, for a Christmas gift. (USA Today). It was this book that would later become Olivia, but it was originally rejected by an agent which caused Falconer to keep it hidden away for a few years. Later, he was approached by Simon and Schuster to illustrate another book. (Olivia the Pig Website). According to USA Today, Ian Falconer wasn't interested in illustrating the book but showed his Olivia book to the children's book editor, Anne Schwartz. She said, "I looked to the heavens. I knew my ship had come in. I had something great, and it had landed in my lap." Ian Falconer would later be awarded a Caldecott Honor in 2000 for Olivia. "Olivia is good at lots of things." She is good at being firm with her little brother, building enormous sand castles, and picking the right books to have her mom read before bed. 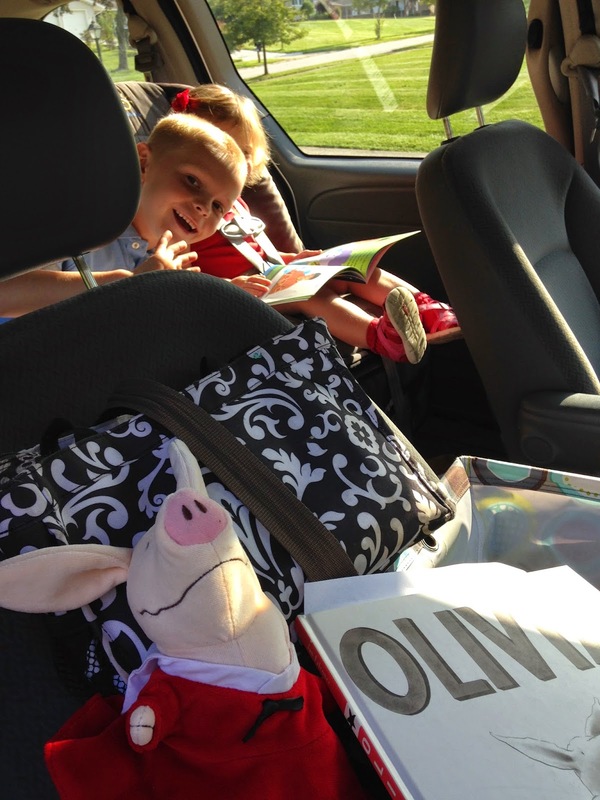 Olivia is an active pig and packs a day full of activity and imagination. Even a rainy day won't squash her creativity. 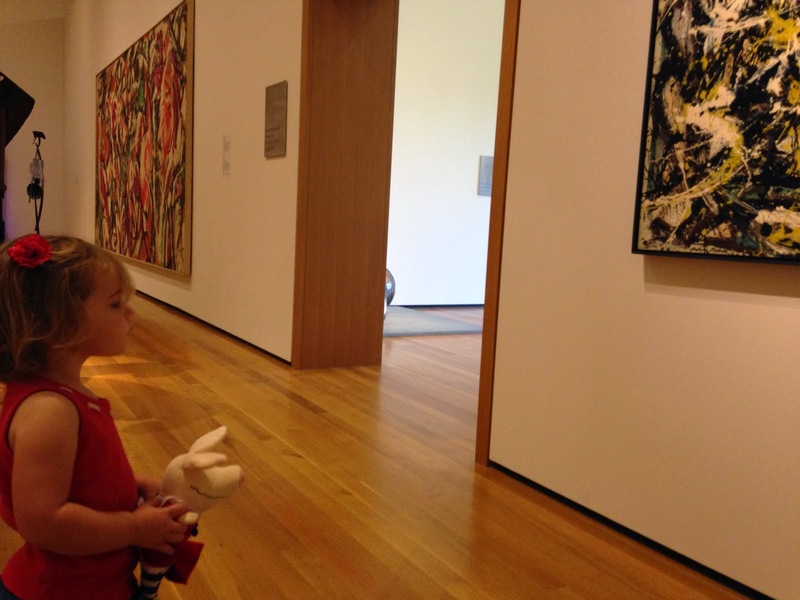 A visit to the art museum to see her favorite painting is the perfect indoor activity. At the end of the day, every person in her family and Olivia herself, is worn out from all the fun. I needed more than one day to celebrate Ian Falconer's birthday with my children. Spreading the birthday activity over the course of three days really kept us from getting worn out too! In Olivia, she visits the art museum to view her favorite painting by Edgar Degas, but another painting also catches her eye. 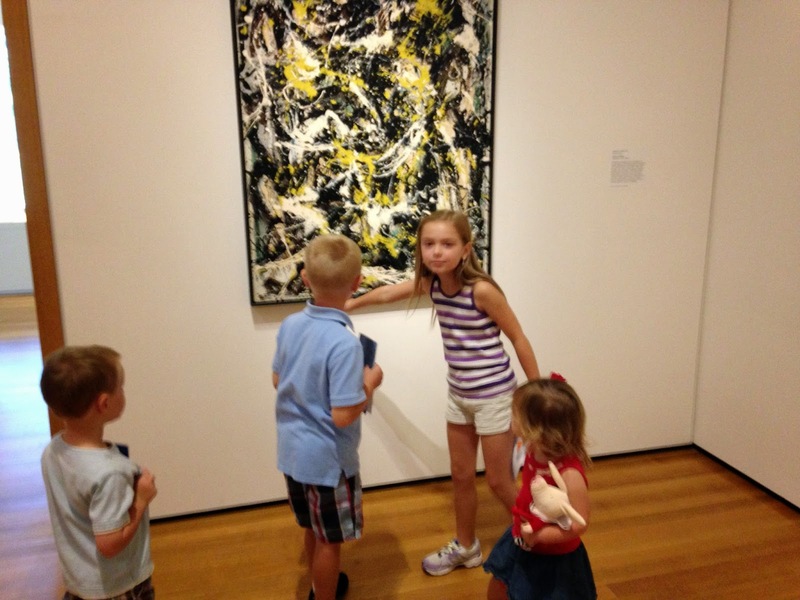 Olivia sees a painting by Jackson Pollock and says, "I could do that in about five minutes." 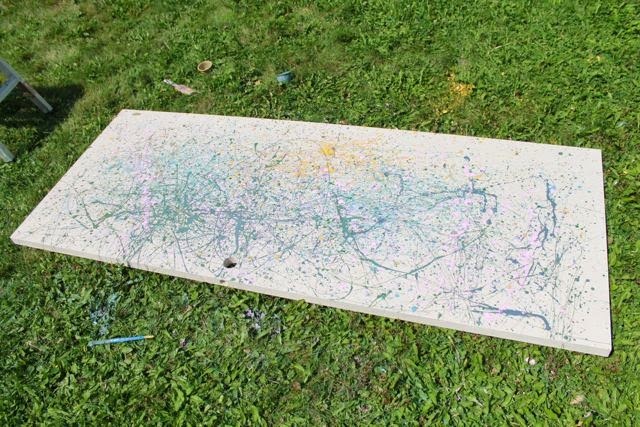 I thought a collaborative Jackson Pollock-like drip and splatter painting would be the perfect way to celebrate Ian Falconer's birthday. We have found that an old and unwanted door is the perfect canvas for a large painting. The best part is they can often be found for free on the side of the road. 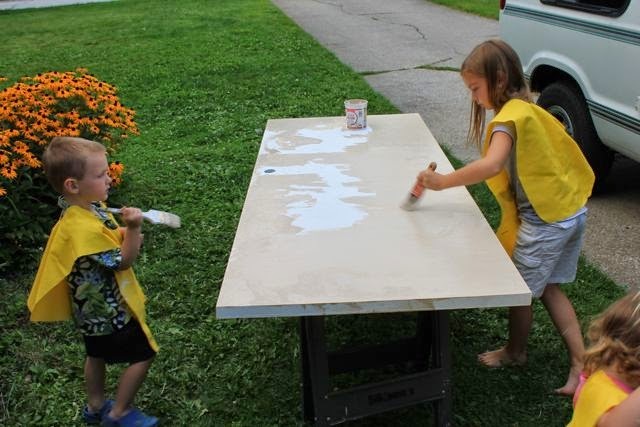 My children primed the door to prepare it for our painting. 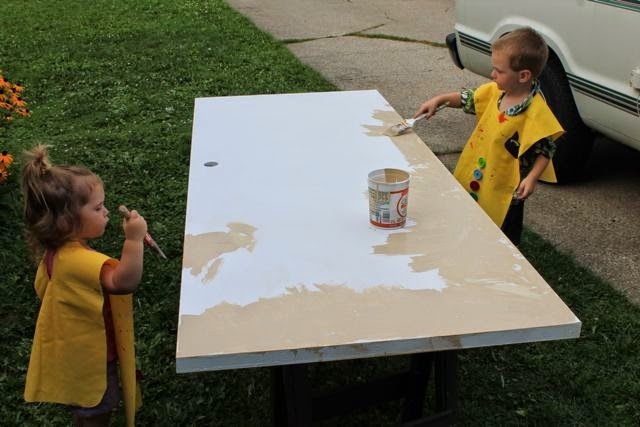 Later in the evening my two youngest children painted a tan background. 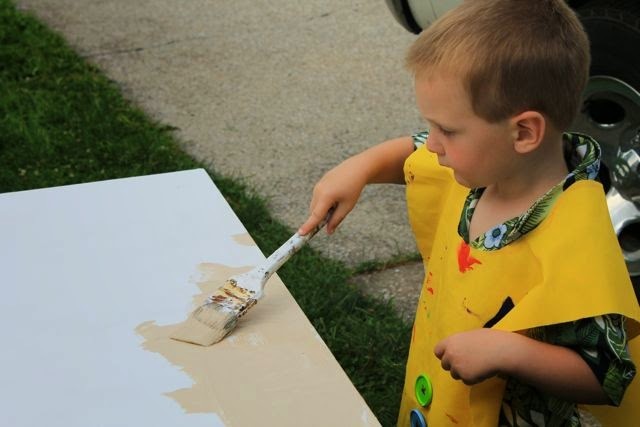 Did you notice our Pete the Cat art smocks? 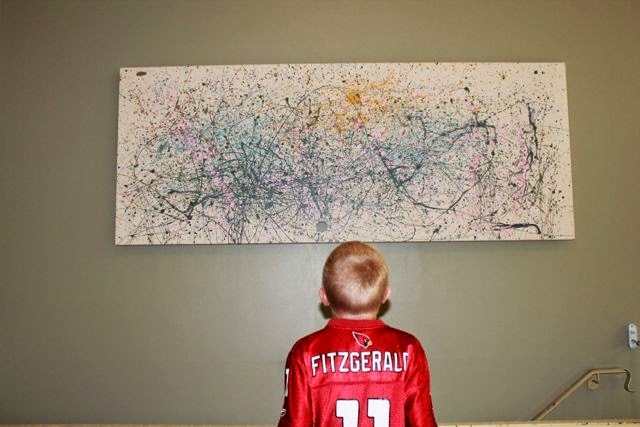 He was really serious about his painting. 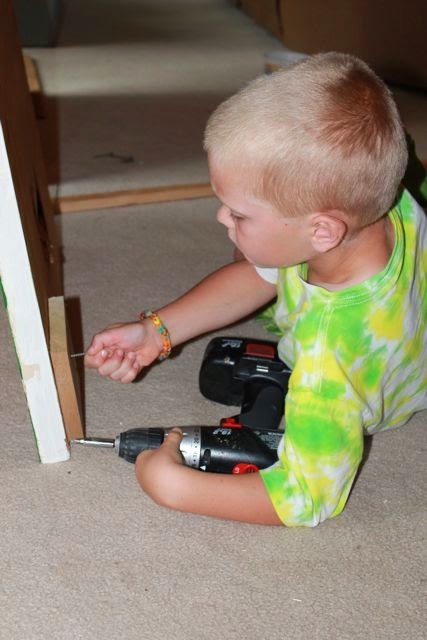 He discovered on his own that dripping paint from the paintbrush onto the door looked really cool. 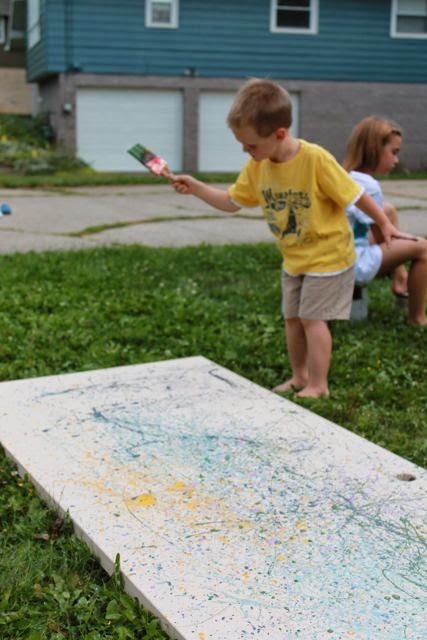 I told him that the next day he was going to make a whole painting with his brother and sisters by dripping paint! 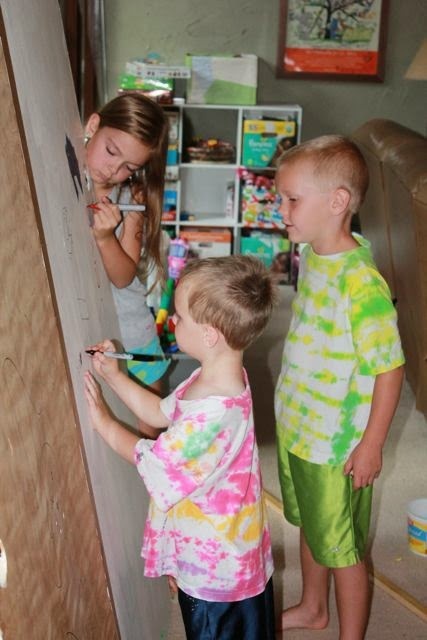 The "littles" asked their older sister to help paint the middle of the door because they couldn't reach. 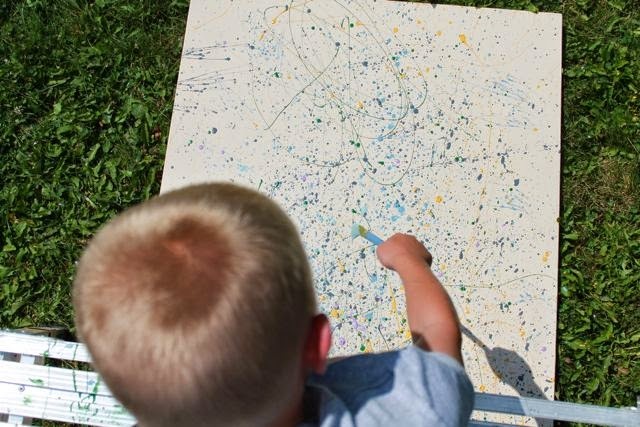 ﻿It occurred to me that this reading experience would be even better if my children could see a Jackson Pollock painting before they tried to make one of their own. 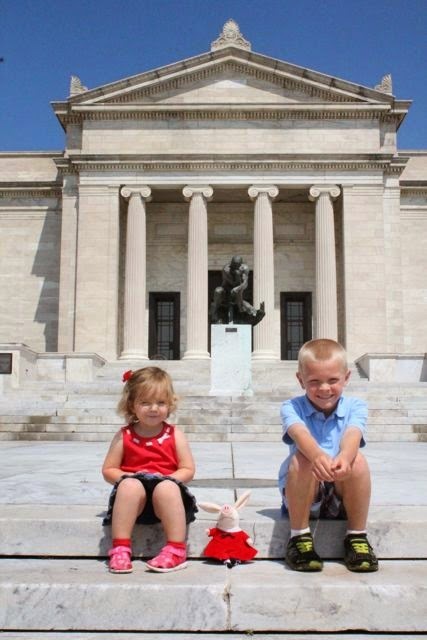 Therefore, we took a road trip to The Cleveland Museum of Art with Olivia! 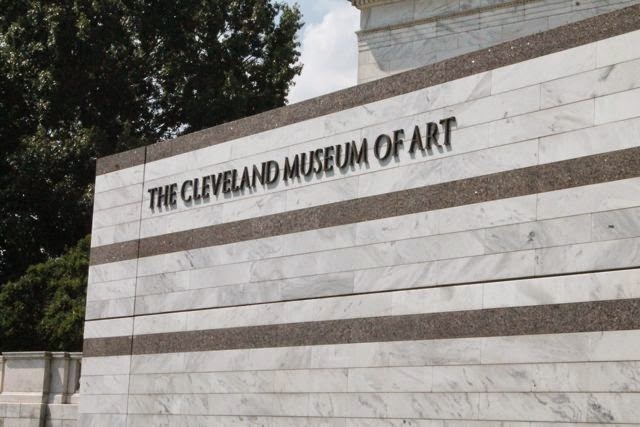 Not only did The Cleveland Museum of Art have a painting by Jackson Pollock, but they also had paintings by Edgar Degas. 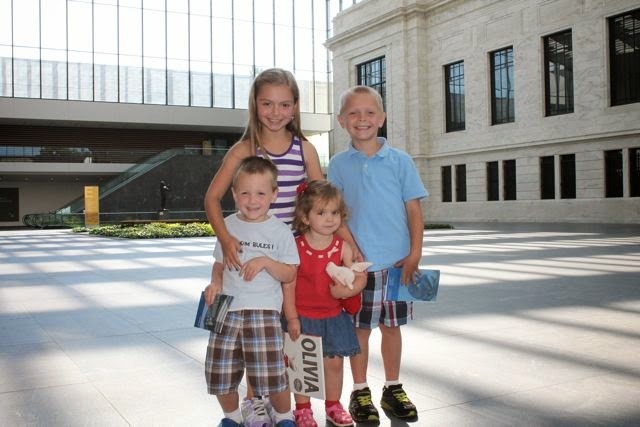 We went to see a painting by Edgar Degas first -- just like Olivia! What could they be thinking? 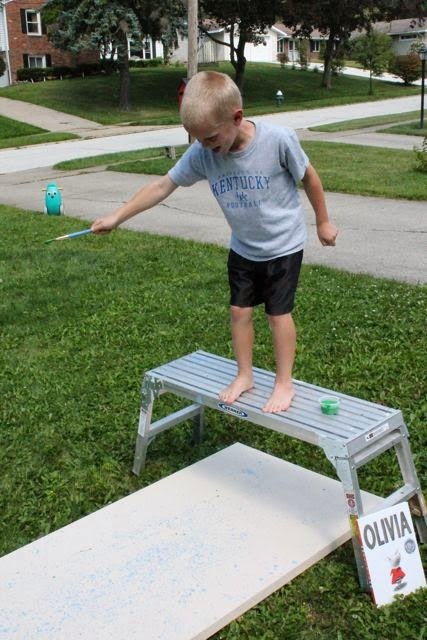 I wonder if Olivia was still thinking she could do a painting like this in five minutes. 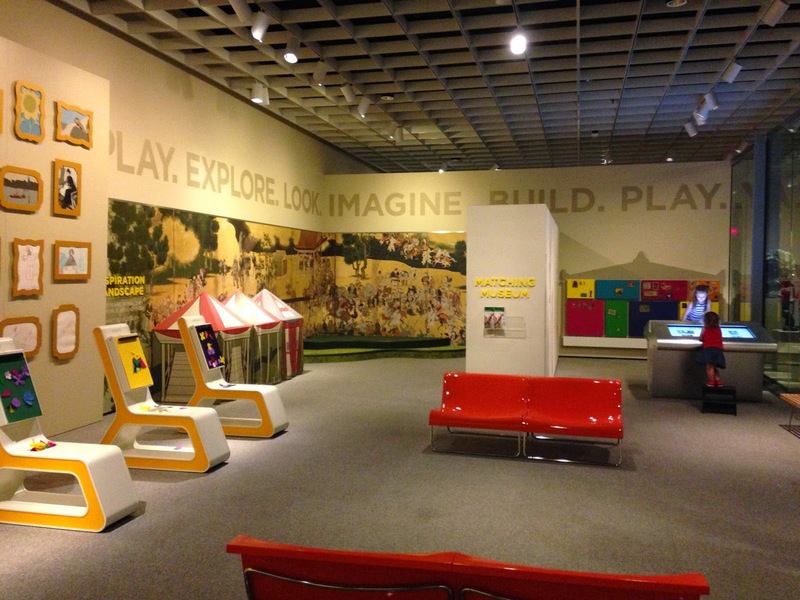 After viewing the two paintings and the rest of the pieces in each gallery we headed down to Gallery One, an interactive exhibit. 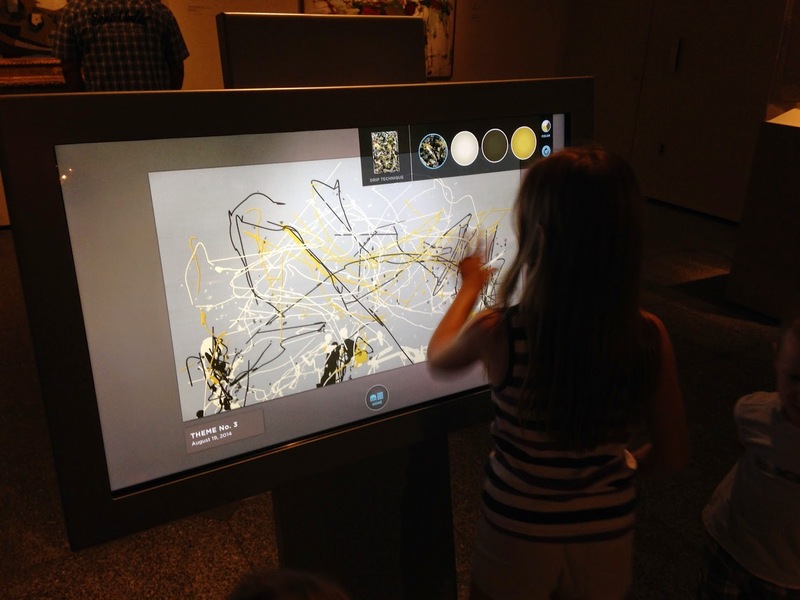 We found a large touch screen that allowed my children to recreate the NUMBER 5, 1950 by Jackson Pollock. The Gallery One exhibit was amazing! 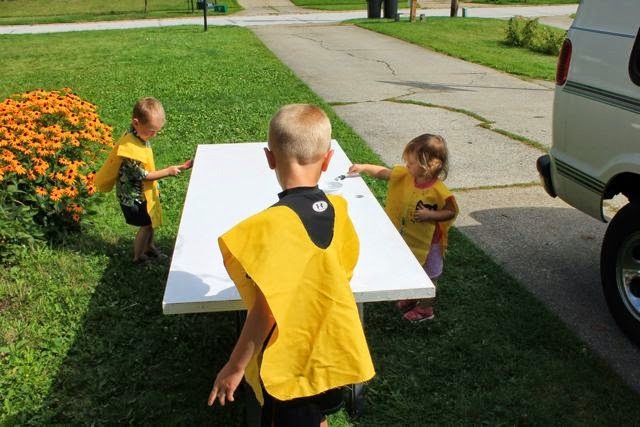 There were so many activities for my children. We spent over an hour in this space! 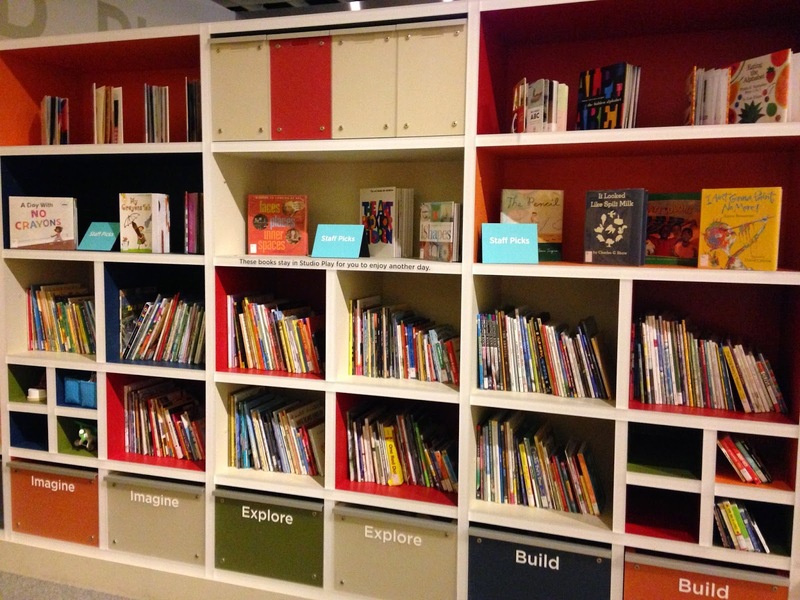 I was so happy to find a huge bookshelf of picture books in the exhibit! Picture books are art! 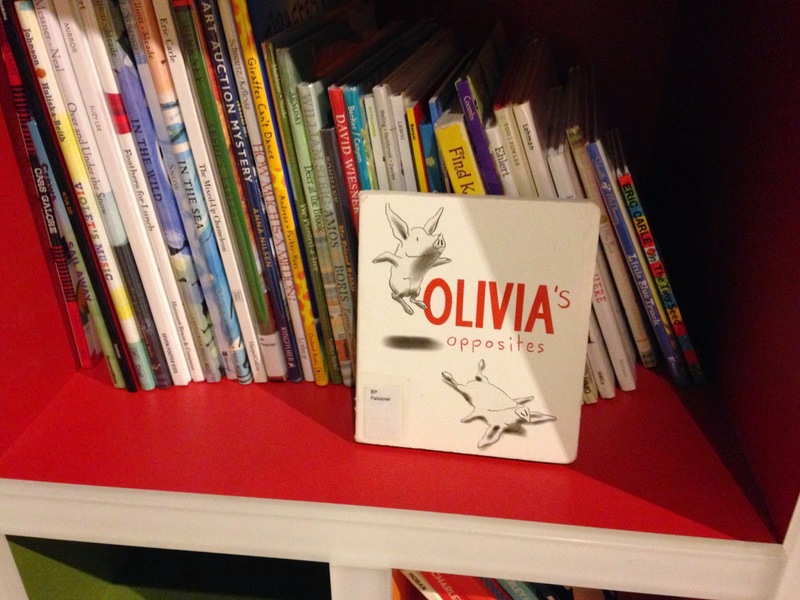 We faced out the Olivia book for everyone to see! It was nice to have Olivia with us too! 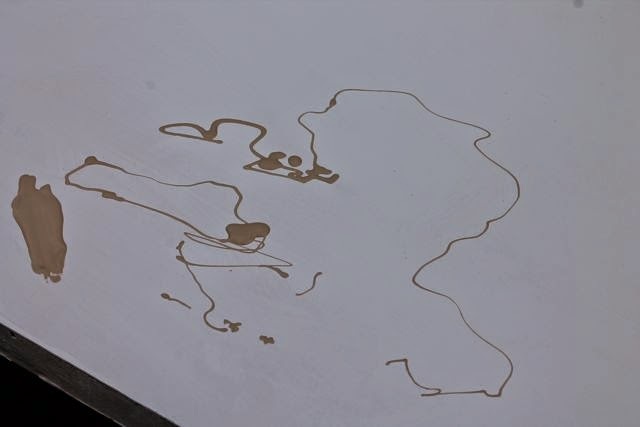 In Olivia, Olivia tries a Jackson Pollock-like painting as soon as she gets home, but her painting happened to be on the wall of her house! 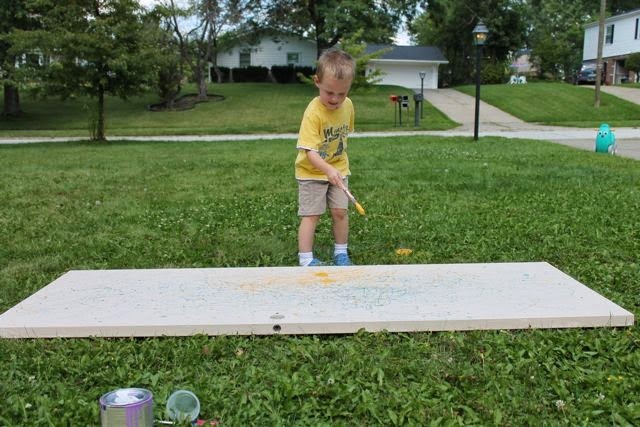 Everyone of my children took turns dripping and splattering paint. Each one used a different color! 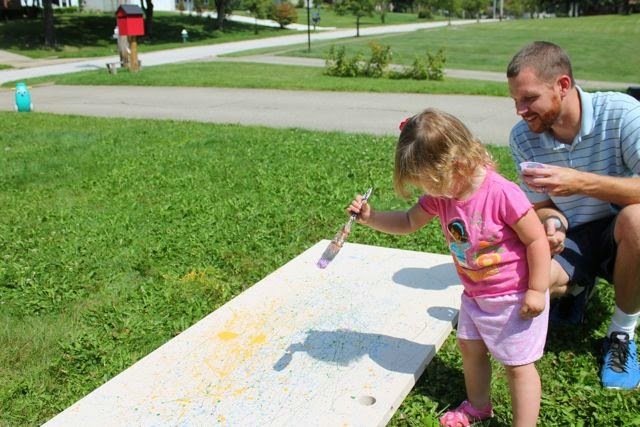 We used household paint that was leftover from painting each room of our house. 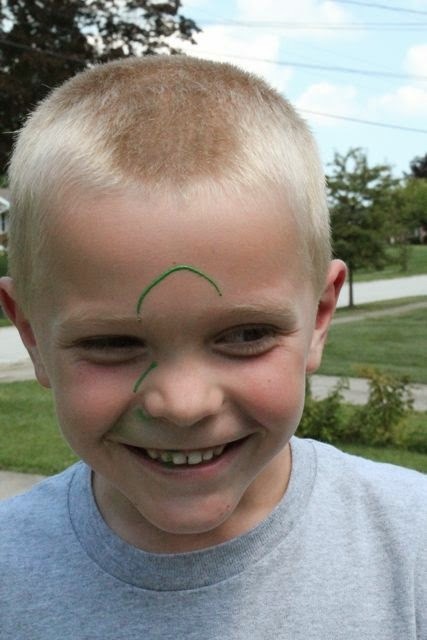 My oldest son got a little excited about flicking paint off his paintbrush. Unfortunately, I didn't take a video of him painting. I think you would have enjoyed the sound effects he was making! I was so proud of my daughter. I was worried she was going to smash her brush right in the middle of the painting. However, she dripped just like the big kids! She sang her "Paint. Paint. Paint." song as she dripped. Wow! 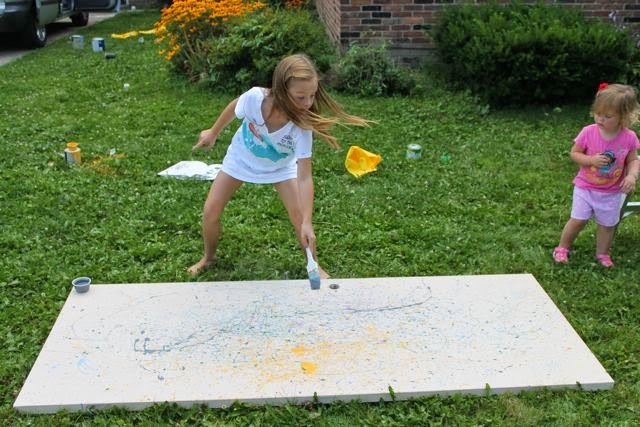 My oldest daughter managed to turn painting into an aerobic exercise! 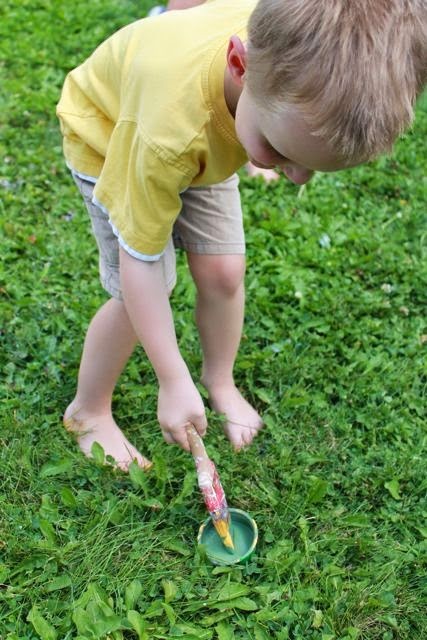 He helped mix a few unique colors too! "Can I have one more turn, dad?" 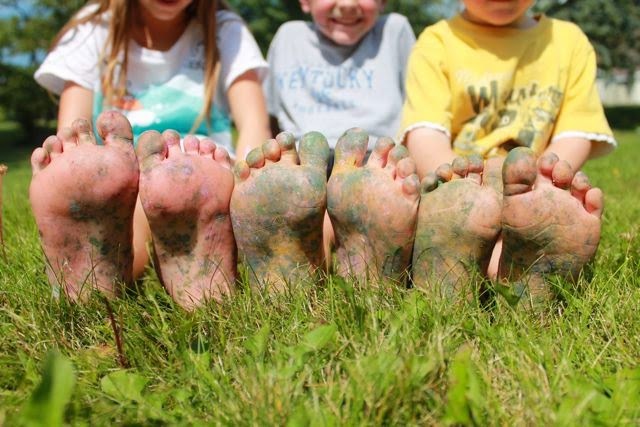 It was a messy project, but it we all had fun! The painting dried in the sun for the rest of the day and then I moved it into the garage for the night. For almost two years the first door we painted to celebrate David Diaz's birthday has graced our living room wall. It was time for a change. My son unscrewed the hardware from the old painting to add to the new one. The artists signed their name on the back of the painting! I will forever hold onto the memory of this reading experience with my children! 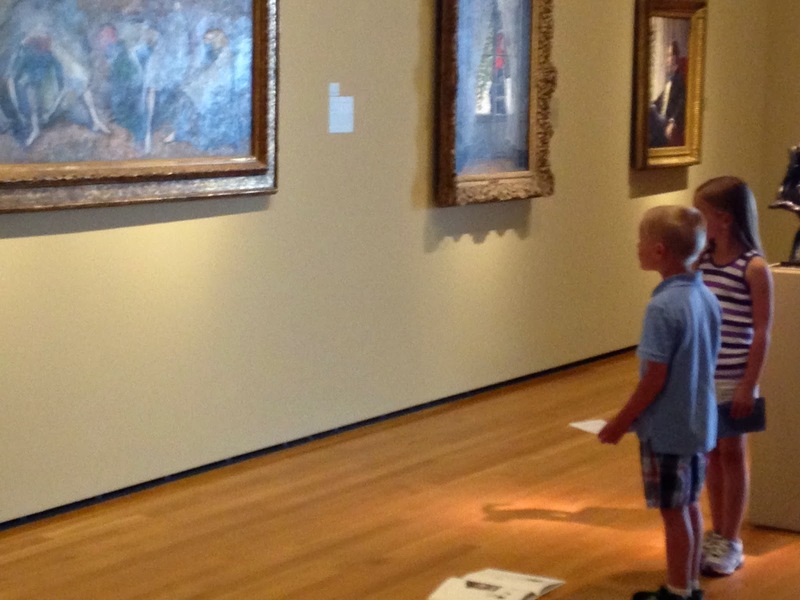 Their enthusiasm at the museum and their passion for painting was a joy to watch. Thank you, kiddos! I love you! 3. Olivia the Pig website - Nick Jr.
4. Olivia Paints a Mural Episode - Nick Jr.